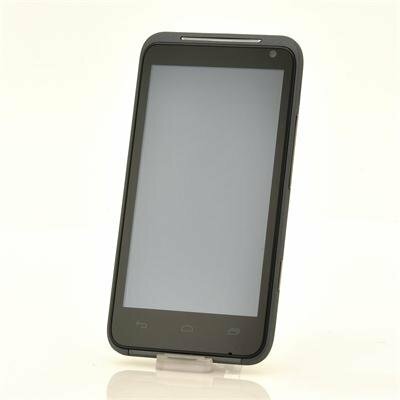 Successfully Added Android 4.0 Smartphone "HDMIDroid" - 4.3inch Dual Core, 3G, GPS, HDMI Out to your Shopping Cart. With the latest MTK 6577 chipset and a vibrant 960x540 capacitive screen, this phone will impress you! The lightning fast 1GHz Dual Core processor will take on all the newest games and apps effortlessly. You will love to play games, watch HD movies and browse the web on the 4.3inch, 960x540 vibrant screen! The 5MP back camera will capture all your precious moments in high quality pictures and use the 0.3MP front camera for video calls over Skype. Have you ever wanted to show the pictures on your phone to the whole family? Or give a slideshow presentation straight from your phone? The HDMIDroid has a HDMI port built in so you can easily hook up your phone to the TV or Beamer! This Dual SIM phone is compatible with WCDMA 850/2100 and with GSM 850/900/1800/1900. The 5 point capacitive screen reacts fast and accurately and is able to play back HD movies. With a built in memory of 4GB and extendable with up to 16GB using a MicroSD card you can store all your favorite movies, music and pictures. And never get lost again using the GPS function! 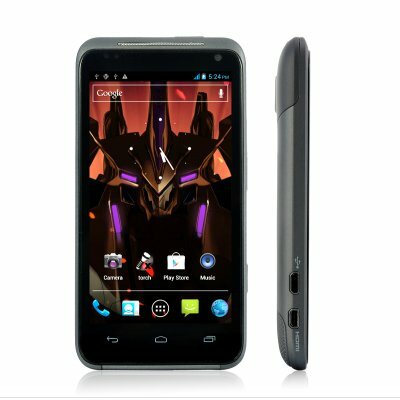 A lightning fast Android Phone with a bright 540x960 HD touch screen from China, the HDMIdroid is a fantastic phone. Brought to you by the leader in wholesale Android Smartphones and Tablets, Chinavasion. After 10 months it started having a few issues with the touch screen, but still works fine. Um excelente aparelho, não me arrependo nenhum pouco da compra. Super rápido, o touch é excepcional, executa tudo sem travamentos. An excellent device, do not regret the purchase one bit. Super fast, the touch is exceptional, everything runs without crashes. on 2013-03-07 04:31:28 Well packed and beautiful smartfone.Fast delivery. Impressed.Big and very good screen,fast reply in apps,i need some days to learn what this good phone can do,i return soon.Thanks Chinavasion. The device is great. Good packaging, good presentation. The delivery was quite effective. It took about 4 working days from Hong Kong to Portugal. +-Sound is a bit low, but in terms of fidelity, it delivers. ++Dual sim operation is perfect. Email communication with Chinavasion was effective and fast. They are supportive and reply your questions straight away.